Develope TR series 5,000,000 cycles short-travel keyswitch. Develope TM series 10,000,000 cycles (LED) pushbutton switch. Develope Slide Seclector Switch & Rotary Coded Switch. Develope TE series 1,000,000 cycles Tact Switch,. Develope DMI/DMX series, SIP series. Extending SOJ series, DIJ series, DPJ series. Extending BS, BP. DI series 1 position. Extending SOP series 1,3,5 pole. Extending NP series 2-12 poles. China Factory set up 18 Lines. Oct, starting production Half-Pitch DIP SW in China factory. Oct, starting production Traditional Slid type DIP SW in China factory. May, set up new factory in China. Finished Automatic Line to 16 Line. 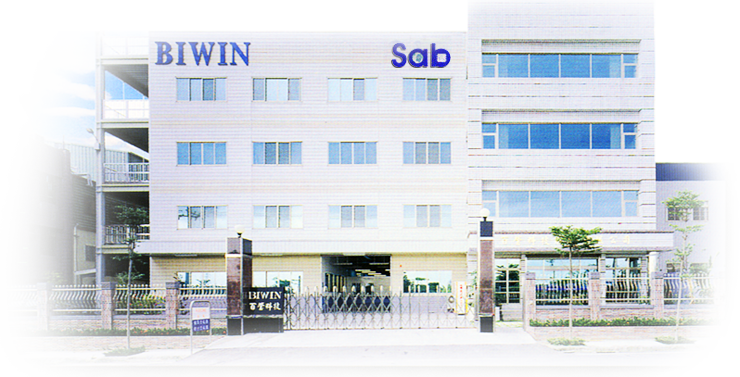 Set up BIWIN new plant in Tai-Li Industrial park. Extending Automatic Line to 12 Lines. Extending Automatic Line to 10 Lines. Enlarge Molding Shop and Extending Automatic Line to 8 Lines. Started production Half-Pitch 8 positions. Started production Piano type DIP SW.
Set up Automatic production line for all products. Enlarge Factory, Developed Miniature Piano type DIP SW.
Production SMT type 2,3,4,5.6,7.8,9,10.12 positions. Adding IC type series 3,6,7,9,12 positions. Production IC type 2,4,6,8,10 positions. Develope IC type DIP SW, Full automatic production line.